Let’s do this, Tuesday!!! Thank you so much for all of your kind comments on yesterday’s Instagram post. As humans, we all have our days. The tough ones help us appreciate the great ones. I have much more to say on this matter very soon. 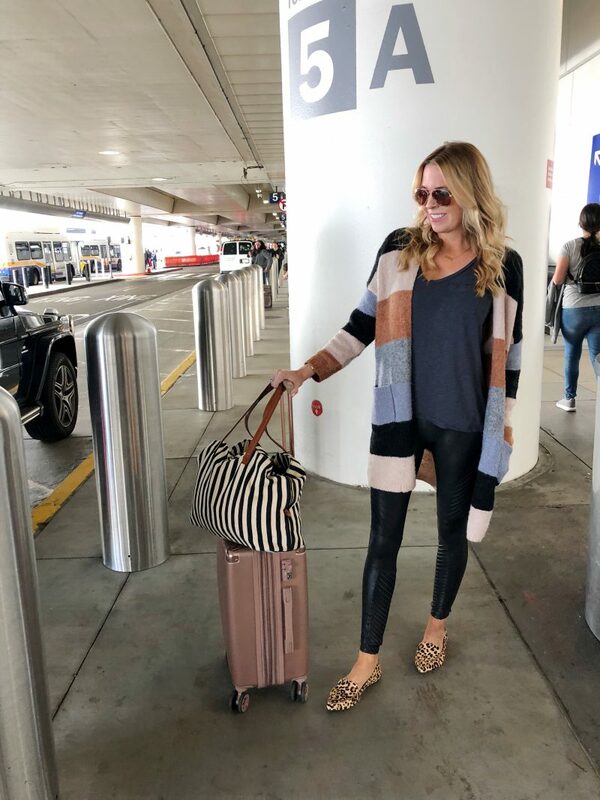 Turning to style finds, I am sharing a few Fall favorites that you should know about. And my beloved striped cardigan is back in stock. Here we go. Those of you who have been following me for some time know that I love all things lace. There is something so feminine and beautiful about it. This pretty top is under $50 and so gorgeous for the holiday season. It would be perfect with a pair of pencil pants and a nice pair of heels. The color is a vintage cream so it has that aged look. The lace top does not come with a bottom layer so I am recommended a couple of options. I have had an ivory tank for probably ten years. This one is a fantastic price. I also love this one for only $10. I promise it’s something you’ll pull out over and over. It’s not only perfect for an added layer when you need one, but I wear it under so many of my lace tops. This is another lace top that is absolutely gorgeous. These jeans are also a staple in my Fall wardrobe. I really like the dark wash and the button fly detail. They are true to size. This was my travel outfit when we flew out to Michigan. You won’t find a softer sweater and it has been restocked! If you have your eye on it, grab it quickly because it will sell out again. I love it because it’s lightweight but really warm and soft. It’s perfect for travel. (For reference I am wearing a size small cardigan). If you live in a cold climate and need a good pair of long underwear , check these out. I wore them and LOVED them. So so soft and slim under your clothing. These are also my tried and true travel bags. I ADORE my rose gold suitcase. It’s extremely lightweight and so spacious inside. If you are on the hunt to replace an older, heavier version I highly recommend this one. The striped tote is one I have been carrying for years. It’s such a great carry on for the plane because it has three separate compartments to keep things organized. You can see that just by switching up the jeans and top, the look is entirely different from the travel look. I wear my white jeans year round and love them the most in the winter. 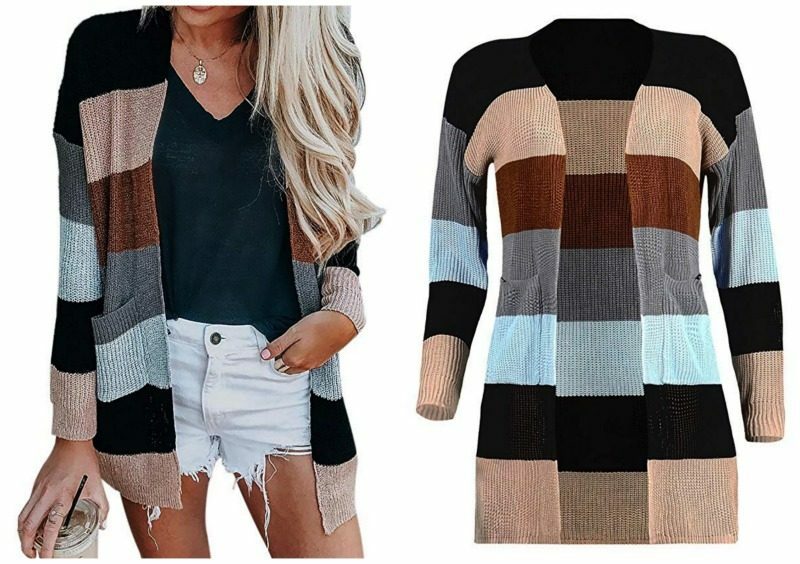 When this cardigan was sold out, I looked high and low for a similar one and found this cute version. I can’t speak to the softness as I do not own it, but you can beat the price. Great option if this one should sell out again and it you want to replicate the look. I also found this striped cardigan which is just a bit bolder. Lastly, with the holidays upon us I am busy behind the scenes preparing gift guides. If there is a specific gift guide you would like to see, please let me know. Do you need one for men, children, teachers, etc.? Happy to help you with the craziest time of year. Speaking of, thank you to everyone who messaged me about this throw(58% off). So happy you were able to snag a couple for gifts. Wishing you all a really great day. Ours days are short as my son gets out at noon every day this week. Conference week mixed with Halloween prep makes for a very busy few days. I am sure you all feel the same way. Enjoy the craziness. These are the days we will remember. You got it!! Those are some of my very favorite gifts. Thank you for letting me know that would be helpful. Have a great day. I agree a fun feminine gift guide would be very helpful for me this year as well. I’m wondering how has your pretty rose gold suitcase held up for you? In the reviews several people mentioned it became easily scrapped and scratched up but yours looks very nice! Any thoughts or tips for keeping it looking so nice , I’d love to order one today! Thanks so much ???? Dang! Cardi is already sold out. Its adorable. Darn it!! I’ll keep checking. Did you see the other version I linked? I would love a gift guide for stocking stuffers for adult children! And their significant others! I’d love a gift guide for teenage boys. I know you aren’t there yet, though. Love the other suggestions, too. I would love a gift guide for teens!! They are so hard to shop for!